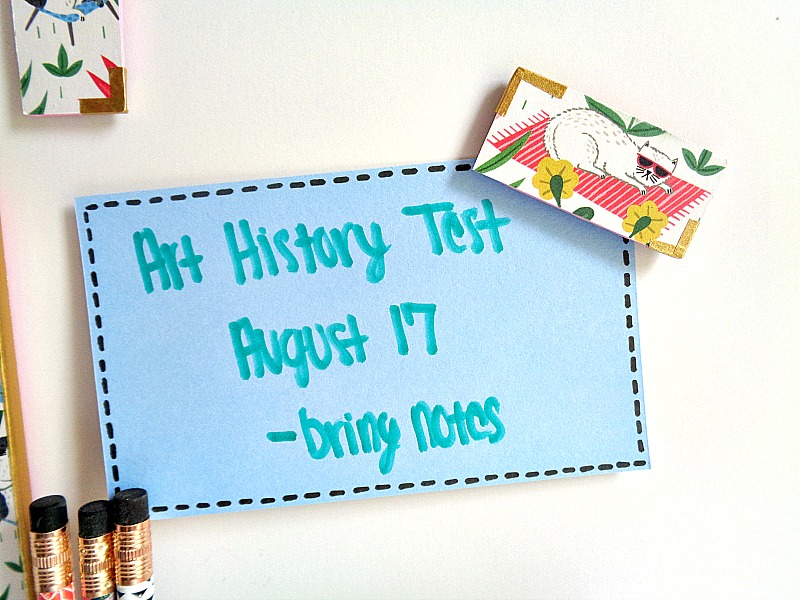 Earlier in the week, I mentioned that I would be showing you guys 2 back to school DIYs here on the blog. 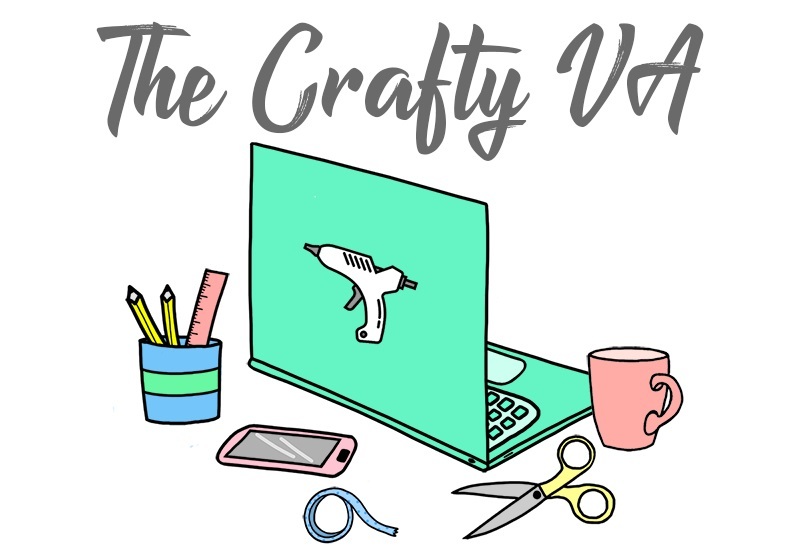 Well, on Tuesday I showed you my Cheetos Pencil Pouch DIY and today I’m showing you a DIY that involves updating those plain old locker kits! Today's back to school project is part of my collaboration with Xyron since I'm a member of their design team! This means that you will be seeing a few Xyron products in action! 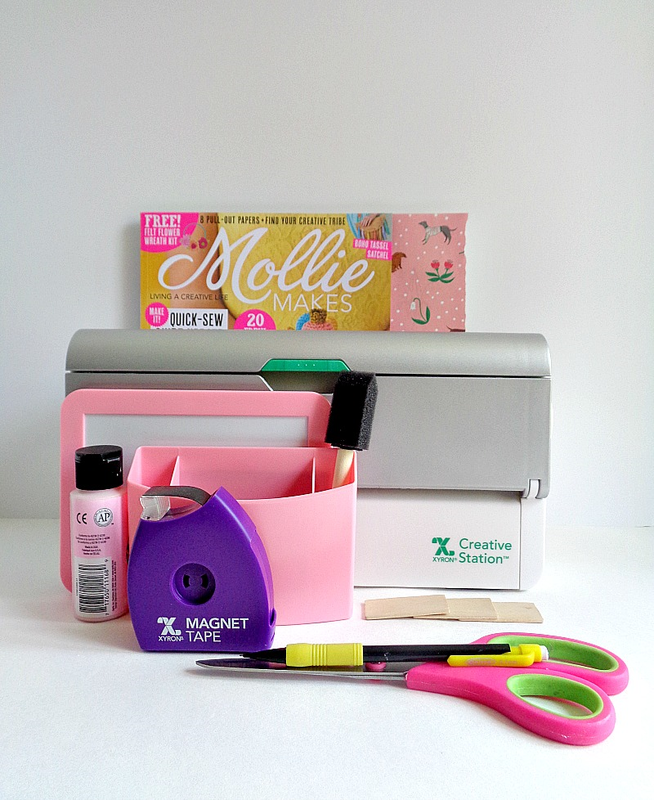 For this particular project, I will be showcasing the Xyron® 9'' Creative Station and the Xyron® Magnet Tape. 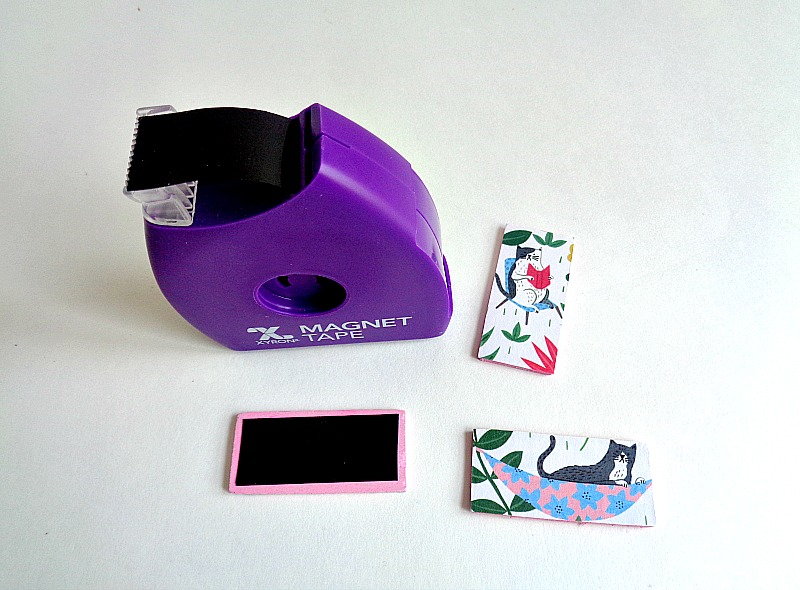 I've talked about the Xyron 9'' Creative Station and Magnet Tape before, so if you want to learn more about them, then click here (for the Xyron 9'' Creative Station) and click here (for the Xyron Magnet Tape). Xyron challenged its design team member to create a back to school project. 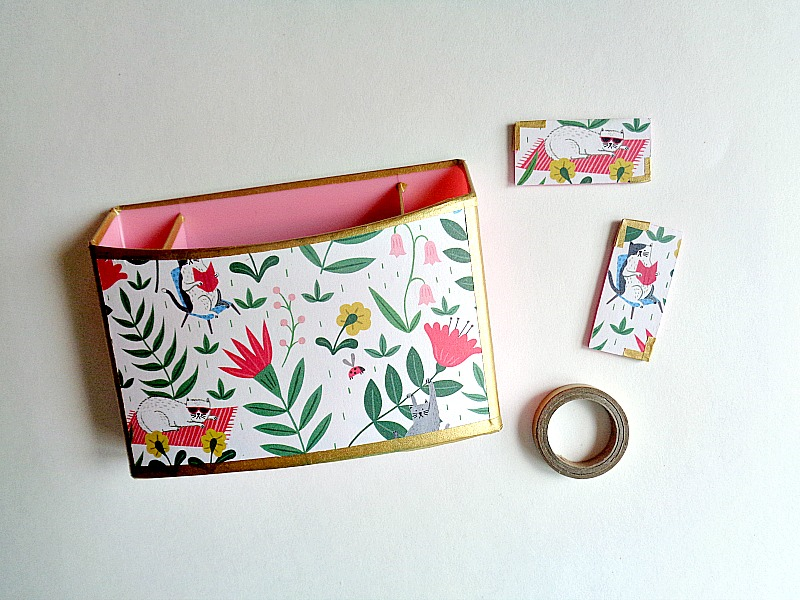 Last year, I created a DIY Crayon Box for this same challenge. However, this year, I wanted to take a different route and create a project that was more customizable and unique. 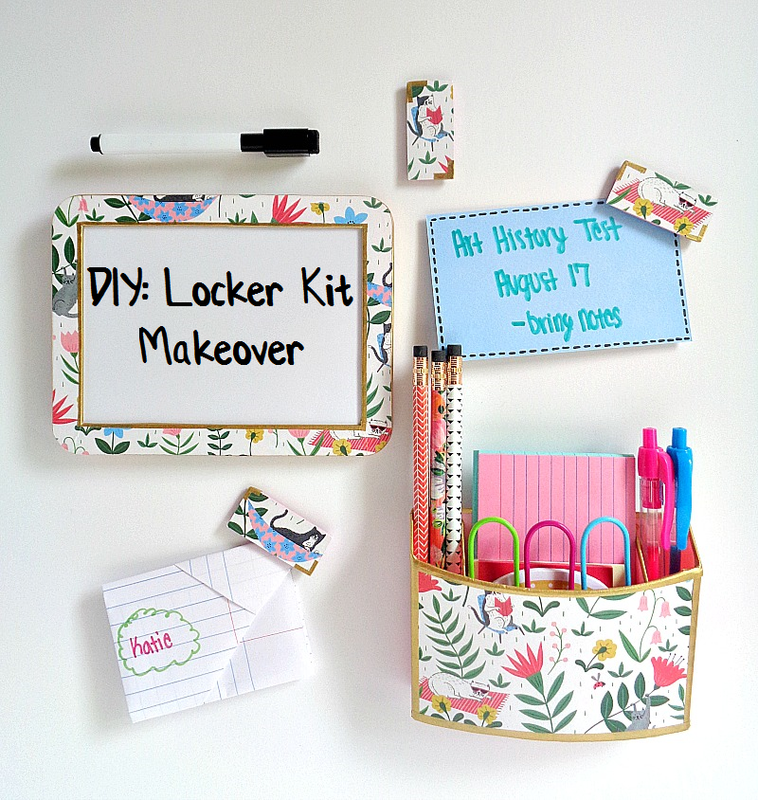 So, today I will be showing you how to give those plain old locker kits a makeover! Now, what I do I mean by plain old locker kits? I mean those locker kits which are a solid color and usually include a variety of items (like a wipe off board, mirror, etc.) in the kit. 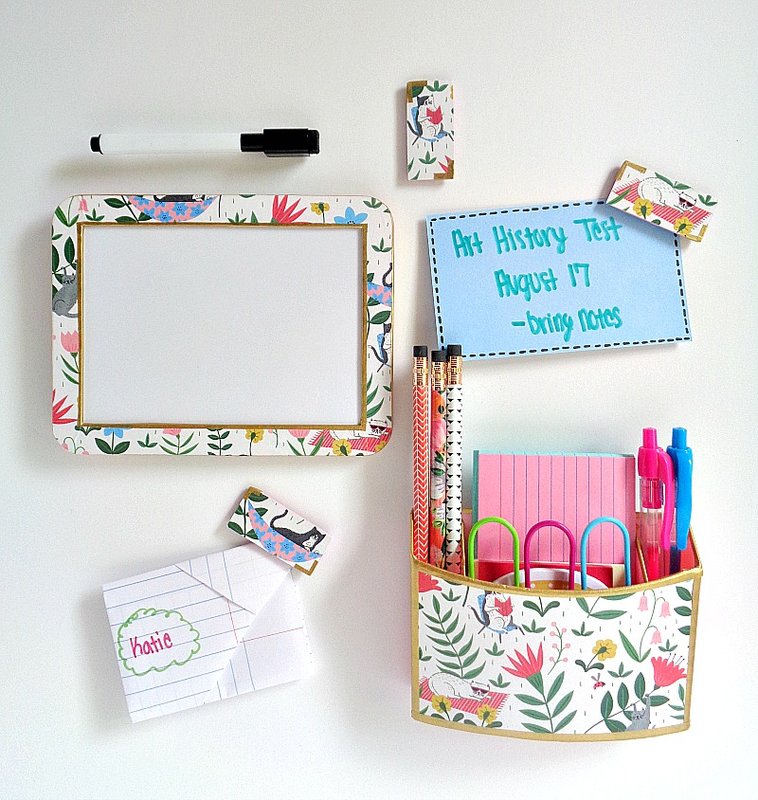 These locker kits can be found almost everywhere right now because it's back to school season. 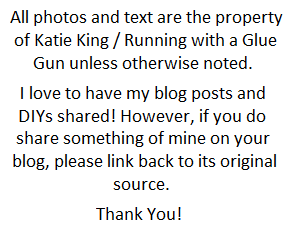 However, just because they are available doesn’t mean that they are in the style or color that you want. 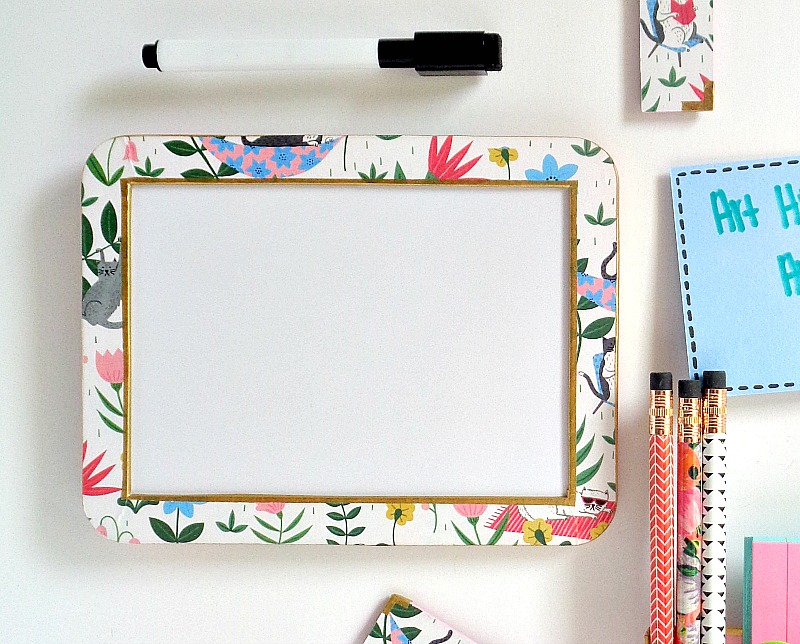 So, if you're ready to give that boring locker kit a cute makeover, then keep reading below! Step 1: If possible, take apart your locker kit pieces. 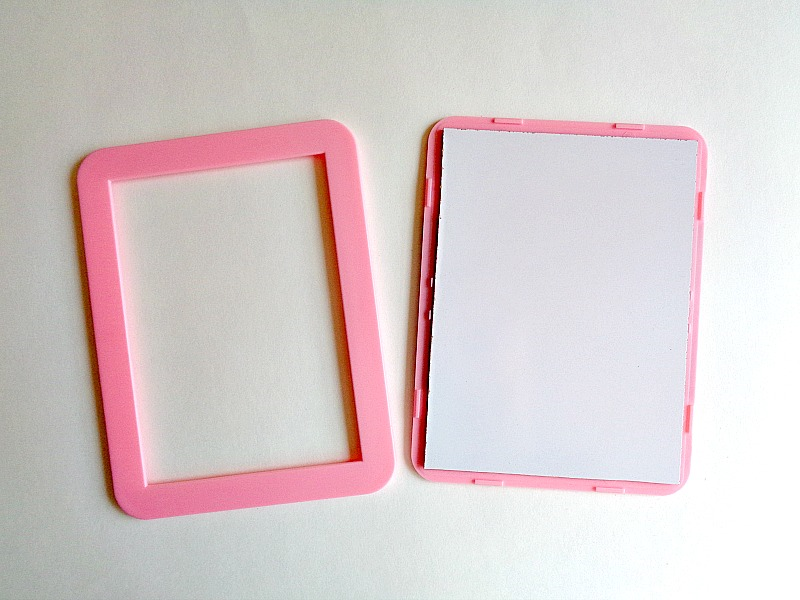 For example, I could remove the frame from my wipe off board. If you can do this with your own locker kit, simply grab the front part of the frames and set the rest of the pieces aside. 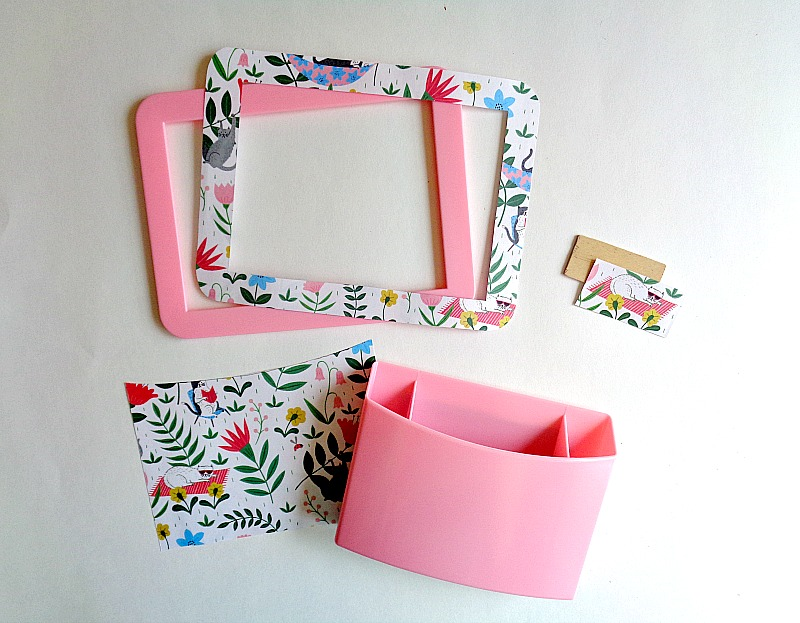 Step 2: Grab your scrapbooking paper or patterned paper and cut out pieces which match your locker kit. For my locker kit, I cut out a piece for the frame, a piece for the front of the storage caddy, and a few smaller pieces to fit my wooden rectangles. Crafty Side Note: These smaller pieces for the wooden rectangles will be turned into magnets later. Step 3: Now, grab your wooden rectangles and paint them on the front and back. Then set them aside to dry. 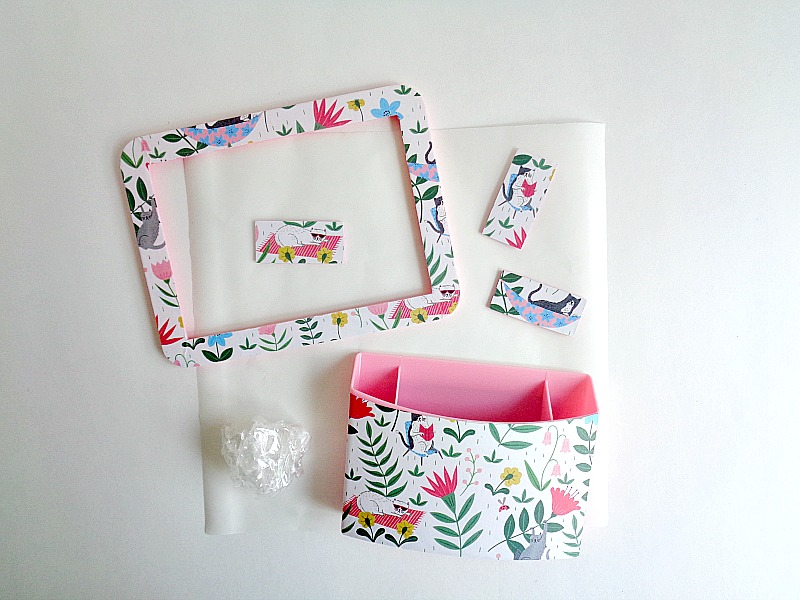 Step 4: Gather up all of your paper pieces and run them through your Xyron 9'' Creative Station. Step 5: Now take each paper piece and rub the top of the sticker paper. Then peel each paper piece off the sticker paper and adhere them to the corresponding pieces in your locker kit. 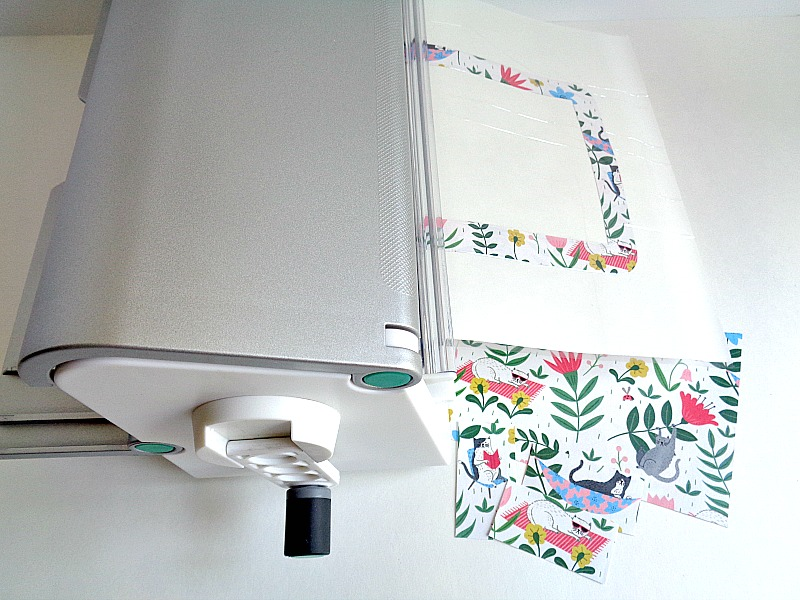 My recommendation when doing this step, is to take your time peeling and placing your paper pieces. This is because the paper (I found) can rip easily if you’re not careful and if you don't take your time. 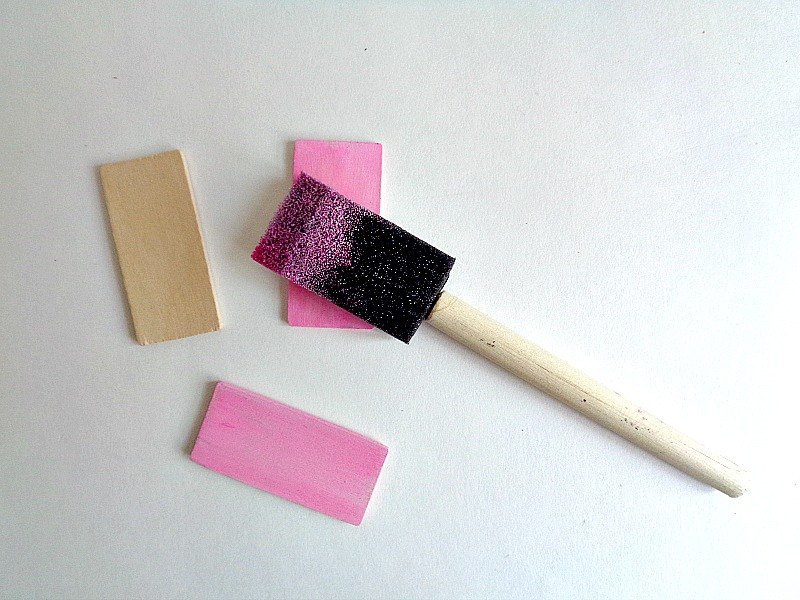 Step 6: Flip your wooden rectangles over and apply a small strip of Xyron Magnet Tape to the back of each piece. 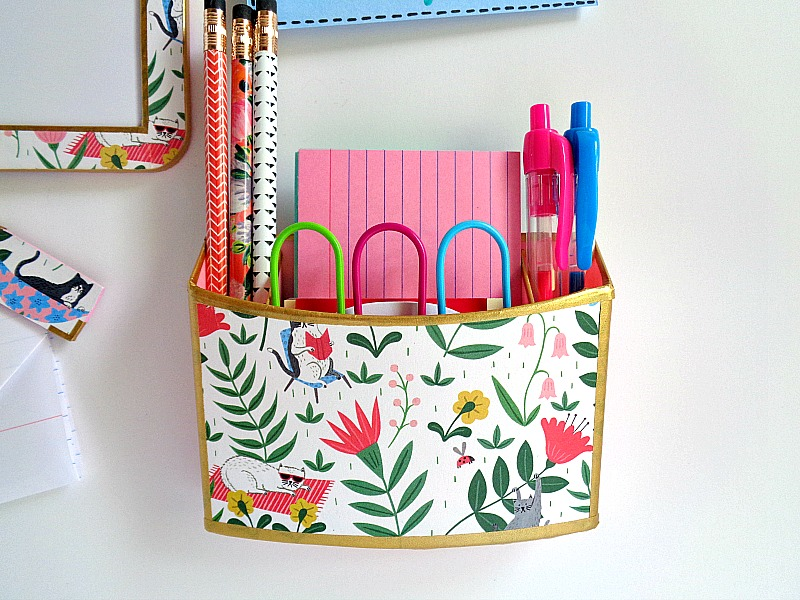 Step 7: To add a finished look to each of your locker pieces and to cover up any mistakes, grab your thin washi tape and apply it around the edges of your locker pieces. In the above photo, you will see that I added washi tape around the edges of the storage caddy and in the opposite corners on my magnets. Once you are happy with the final look of your locker kit, you are ready to display it and begin using it! I loved how this locker kit makeover turned out! 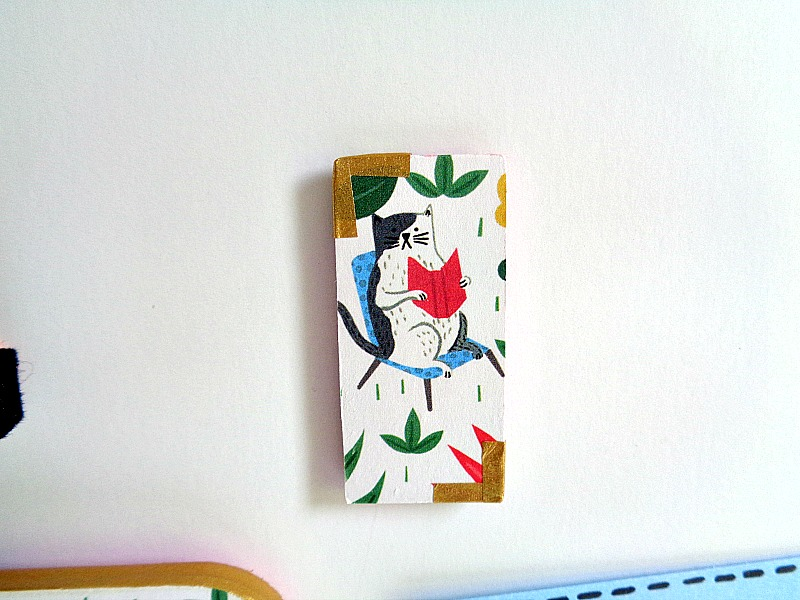 This would look so cute whether you were using it in a locker, on your fridge, or on a metal filing cabinet at work. 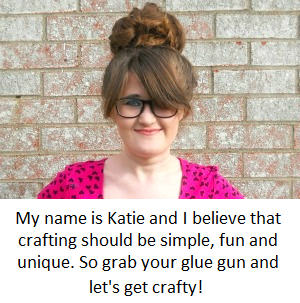 Now, even though I used this exclusive paper from Mollie Makes, you could use any type of scrapbooking paper or magazine page paper that you like for this project. So what do you think? Do you like this locker kit makeover?